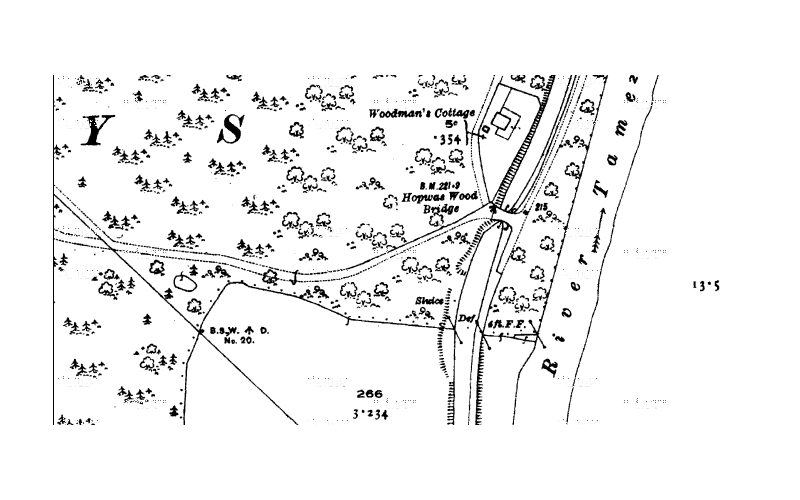 While browsing around to see if I could find any recollections and general info on connections between Whittington Barracks and Hopwas woods I came across a shocking revelation. Whittington barracks one of the oldest in the country was witness to what time magazine dubbed as ” the most shocking army scandal of World War II. It was all down to Colonel Killian who ran the US 10th Reinforcement Depot at Lichfield including Whittington Barracks. By what I’ve seen so far he sounded like an almost Colonel Kurtz type character. the horror…the horror, Colonel Kurtz in Apocapypse now. Would he have been at home in Hopwas woods? It turns out that Whittington Barracks during it’s occupation by the US army depot in WWII was a feared place to be by US troops. Colonel Kilian seemed to specialize and relish in ‘punishing’ soldiers with the blanket excuse of desertion in the face of the enemy.This included not getting to the barracks before 22:00(from Paul Generuex’s account). So far nothing out of the ordinary, just another severe army commander. By the looks of it though, those punishment verged on the sadistic side and gave Whittington barracks a notorious reputation among US troops. The base was used to rehabilitate US soldiers after injuries and get them fit for combat duties. Colonel Kilian interpreted this as making the place a worse place alternative to serving in combat. Conditions were so harsh that the US army newspaper Stars and Stripes characterized the barracks “as a concentration camp run by Americans for American soldiers. That may be a bit extreme but it gives an idea of the reputation and fame the barracks must have had. I’ve pasted an extract from the Times magazine describing some of the punishments, it makes for a grim read. It’s pretty shocking stuff but it appears substantiated by other accounts of US soldiers so it’s on rock solid ground. You’ve got this from US veteran Irvin M Herowitz who was told “to keep your nose clean when you get there” in reference to beatings and then there’s the veteran’s Paul L. Genereux’s personal story of time at the Notorious barracks. Bet you’ve never seen the word Lichfield look so threatening! Click on the book cover to go to a description of the book Lichfield: The U.S army on trial. An interesting feature of all this is its coverage on the other side of the pond contrasted with the silence on the dark episode back here. At least I haven’t been able to find out anything so far. Is there anything on the story in the Whittington barracks museum? Despite being on ‘local ‘ soil the whole thing is a very American affair so that might explain its silence over here to a point. The trouble making side of me though can’t help thinking that the reason might lie in that it sits a little uncomfortably with the whole official historical discourse of World War II in the area. However much we want it to be, history is seldom black and white and I think we owe it to the soldiers who suffered that cruel regime in the local area to give them more exposure. What’s missing from the history books is often as revealing what’s in there. This is the last in a series taking a step back from heritage and past related themes which has mainly consisted of a lack of posts and an entry on a pond. 1) Getting this whole Pastorm event adventure in Tamworth together and trying to work out ways of getting people involved. 1) Heritage is fashionable. It has been for a number of years but is now everywhere, take a look at the television schedule,everyother television program has something to do with heritage, eg. national treasures,ancient murders, Who do you think you are, antiques programmes. Heritage is now part of marketing, products are sold on their oldness and genuineness. Products are sold on the stories they tell. In Tamworth itself with the Staffordshire hoard coming to town, the place has gone Anglo Saxon mad. From festivals, books, everyone wants a piece of some Anglo Saxon action. My natural and infantile reaction to all this is to react against it. The same thing happened with my dinosaur fixation when Jurassic Park came out and everyone went dinomad. I was about 10 then, hopefully I’ve learnt to take things differently now! What could happen as with all fashionable things, is that a backlash could begin, it’s a world of boom and bust after all. Maybe the next riots will be gangs of metal detectors looking for objects to destroy in rage. Country house and local church destruction. paintbombing of Antique fairs. Even I’m not convinced but for an amusing take on what could happen, take a look at hobby mans video, metal desecrating, genius! With the whole Pastorm site, I’ve pretty much left Tamworth timehikes abandoned, the idea is to use Pastorm on Timehikes and vica versa. That’s easier said than done though. Anyway I’m all heritaged out at the moment,so this post is taking a break from the past, sort of anyway. In fact I dislike the word heritage, it conjures up images of cream teas, country houses, and general stuffiness, there’s a place for that but can be limiting. I’m not talking about rebranding but just don’t like it. There’s a good attack and take on the word heritage in article here. 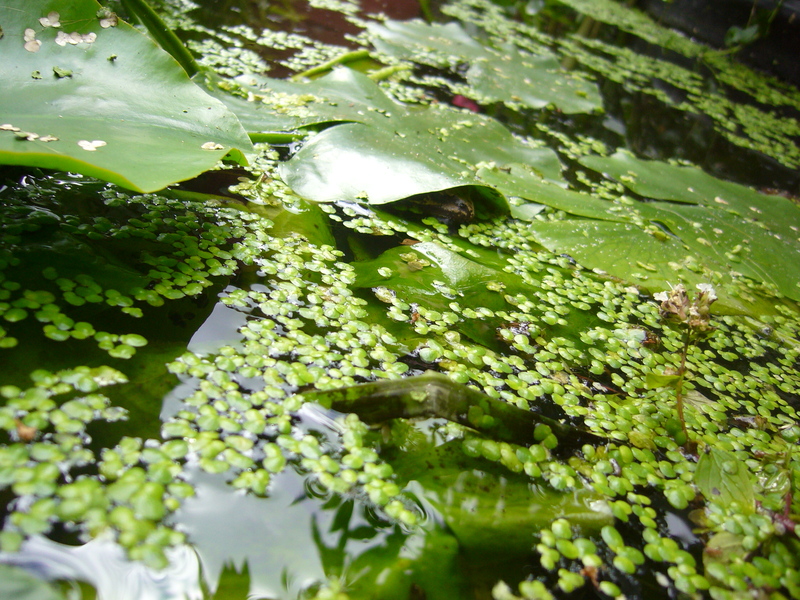 As I’m getting HISTerical with all this past business, and if I’m not careful I’m going to PAST out, I’m going to share images of a favourite place to relax of mine : the garden pond. 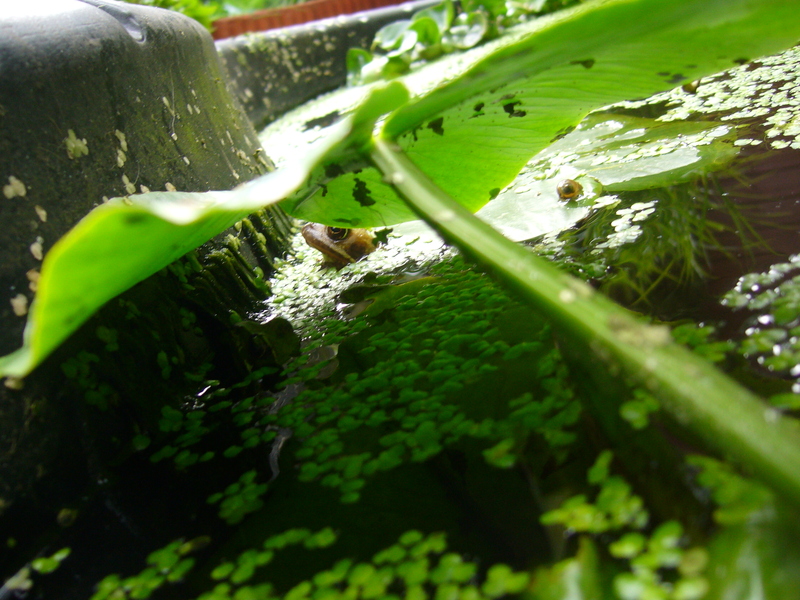 Despite being a tiny pond no more than 150 cm long, it’s a place to lose yourself. 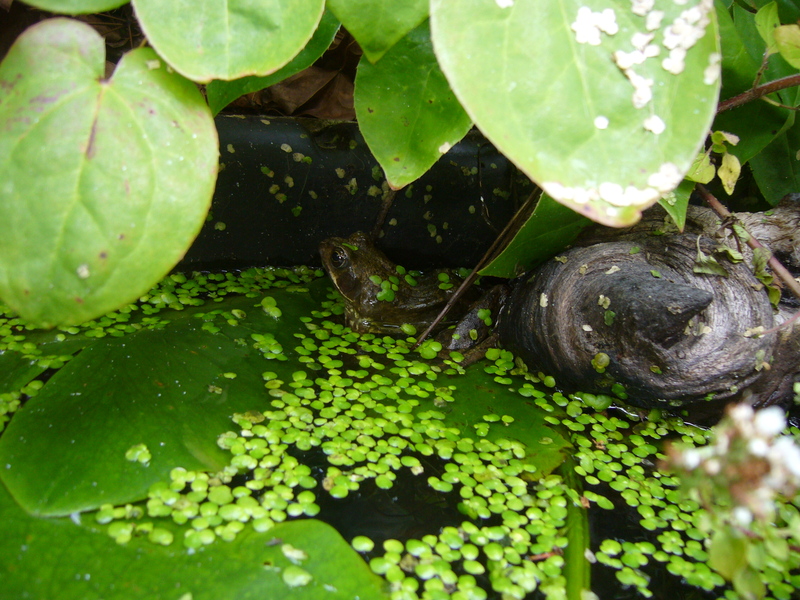 It’s full of life, amphibian(17 frogs, 2 toads, 20 newts and counting) insects(1 pond skater) and receives visits from wasps busily collecting water to build their paper mache nests(can actually hear the rasping noise, when they’re collecting wood) birds, and all sorts of winged life. 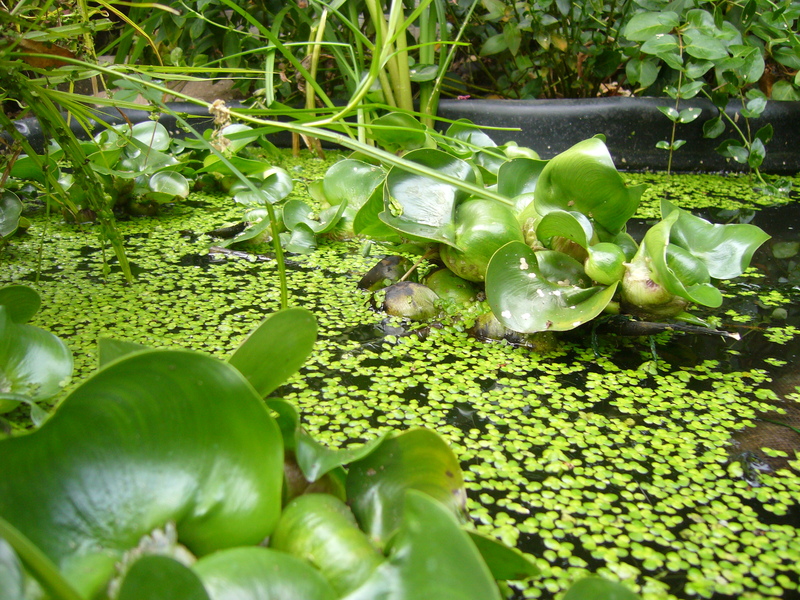 Exploring ponds is associated with childhood, it doesn’t have to be though, resist the social pressure to stock it with koi with a fountain and surrounded by wood chippings. Listen to the child inside you! 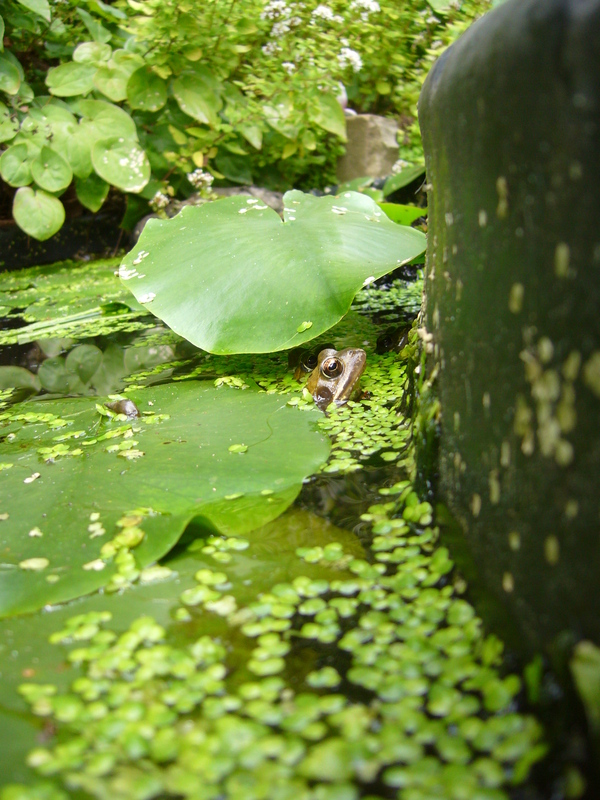 I highly recommend a natural pond, they are a celebration of life, isn’t it in ponds where it all begun! I know people usually stock them with fish but why not leave it as it is and watch life gradually flock to it. It’s a lot more interesting seeing what arrives and you’re also helping out the local wildlife. Ponds in the countryside as I’ve noticed are becoming more and more scarce. 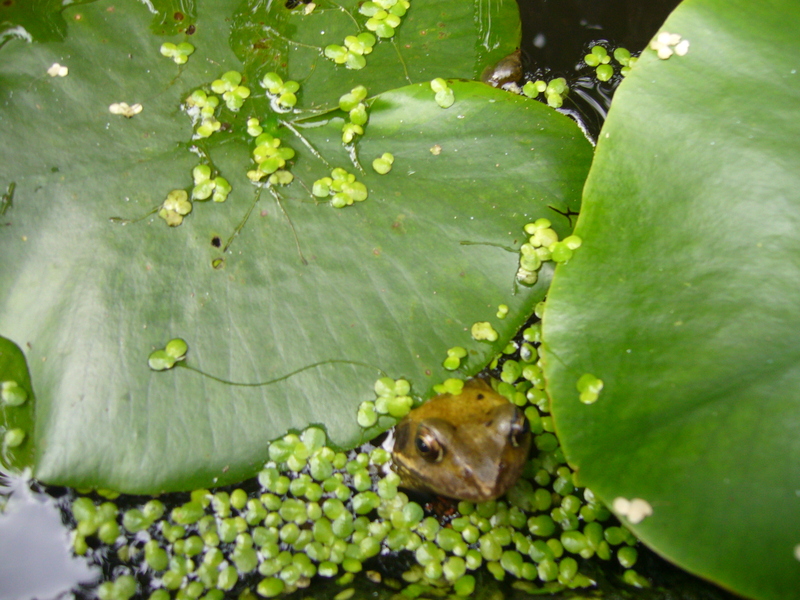 Below are some photos of the ponds I’d like to share. No it’s not the Mississippi swamp, it’s Tamworth! In an effort to adjust back to life in Blighty I’ve looked for similarities between life in Valencia, Spain and Tamworth, UK to little success. 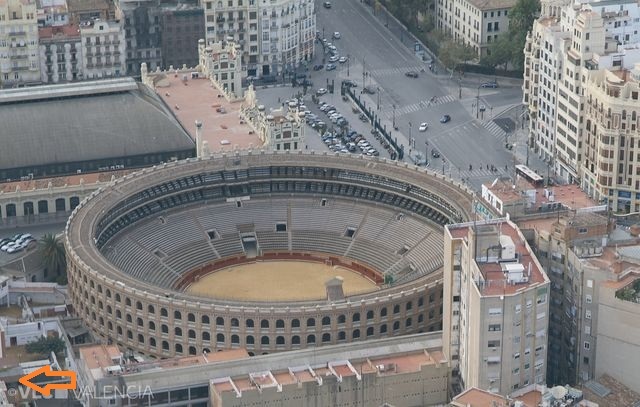 I’ve had to delve into the history books again to see if I could find anything similar and woe betold, there was a(sort of) bull ring in Tamworth just like back in Valencia close to my old home. 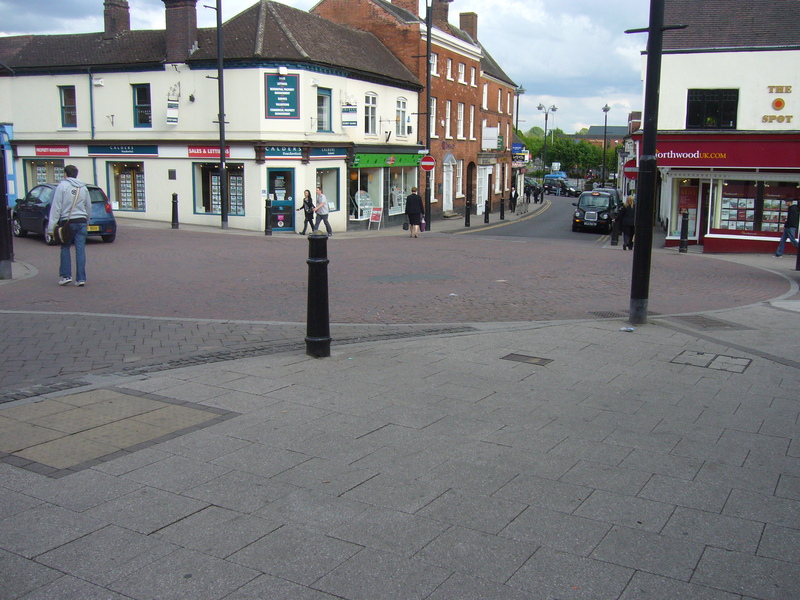 Bull baiting was a popular pastime in English town life from the middle ages up until the late 18th century(even later in the West Midlands) and Tamworth was no exception. It consisted basically of tying the bull to a stake in a central square and setting dogs on the animal, pretty unsavoury stuff but in its time it was actually unlawful to slaughter the bull before being baited. Apparently it gave the bull meat more taste and the fines would have probably been a source of income for local authorities. This can all be testified in Tamworth, where Charles Ferrers in his resourceful Tamworth book tells us that the book rolls of the town show us that persons had been fined for killing the animals before being baited.He goes on to say that the ring (probably at most consisting of railings which together with stake and rope were regularly mended) was at the junction of Bolebridge street with Coleshill and George Street with the last bull baits happening in the 17th century . George Street he later states was actually called Bullstake street in reference to the stake used to tie the bull, before being renamed George Street in the 19th century. In looking for more details on the bull baiting I got all excited when I came across the book the history of signboards where it stated that bullrunning was practiced in Tamworth and Stamford. Yes just like the famous Pamplona bull running. This was a double discovery as bull running in England was a new one for me and that it had happened at Tamworth!!! Alas it was too good to be true, the book had mistaken Tutbury with Tamworth where a bull run was indeed practiced. Still the fact that bull running existed in England in towns like nearby Tutbury and Stamford is a great novelty fact to bring up in the conversation or maybe to think about when running like a demon down the slippery streets of Pamplona, Spain. 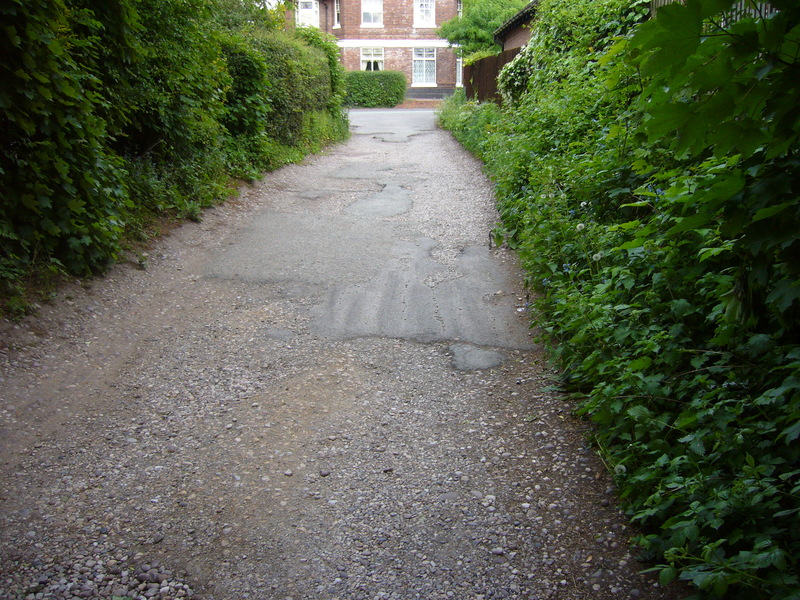 Well how about Copes drive written about in this previous post.It’s highly botched pot holed surface with pebbles showing through isn’t the result of an impasse between local authorities and residents, no it’s because it’s ancientness is shining through the cracks, being one of the oldest routes in the Leyfields housing estate. Below in an attempt to photograph the slight dip in the ground by a house next to the ladybank, Tamworth with the river in front of it. 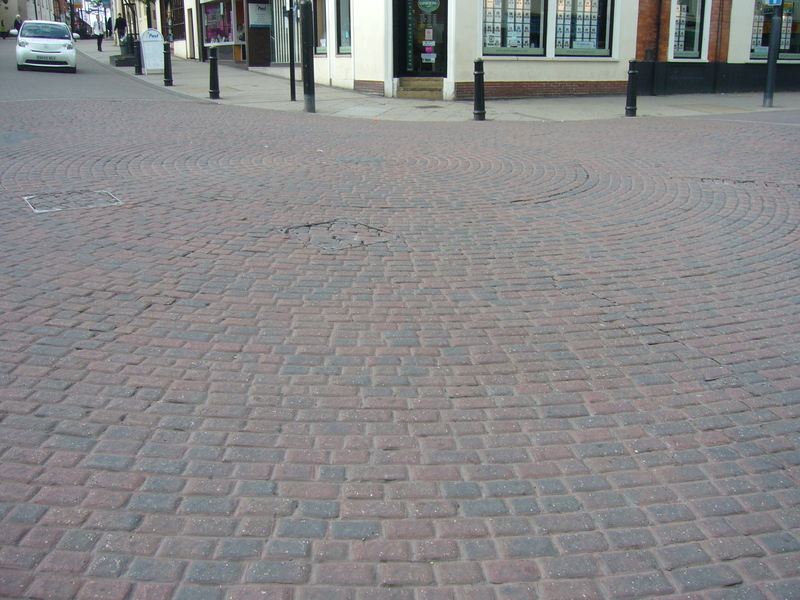 This dip just happens to roughly correspond to the Anglo Saxon ditch surrounding the town(see previous post). Coincidence, or an echo from the past? People in industrial estates produce objects whereas people in Hopwas produces myths and news stories. Hopwas legend estate! A couple of months back Hopwas was back in the local Tamworth Herald news. The front page stories ran for a couple of weeks on evidence unearthed for occult activities found in the form of engraved copper tablets and Egyptian style statues. The first reaction from the scientific, rational community is usually one of dismissing it out of hand, sometimes angrily,calling them wild stories, children’s pranks to sell newspapers. Another reaction is to ridicule and belittle the stories and people with the resulting bitchiness on both sides. Take a look at the heated exchange on the Tamworth Herald article comments page for example. I think though it´s more interesting than that.
? 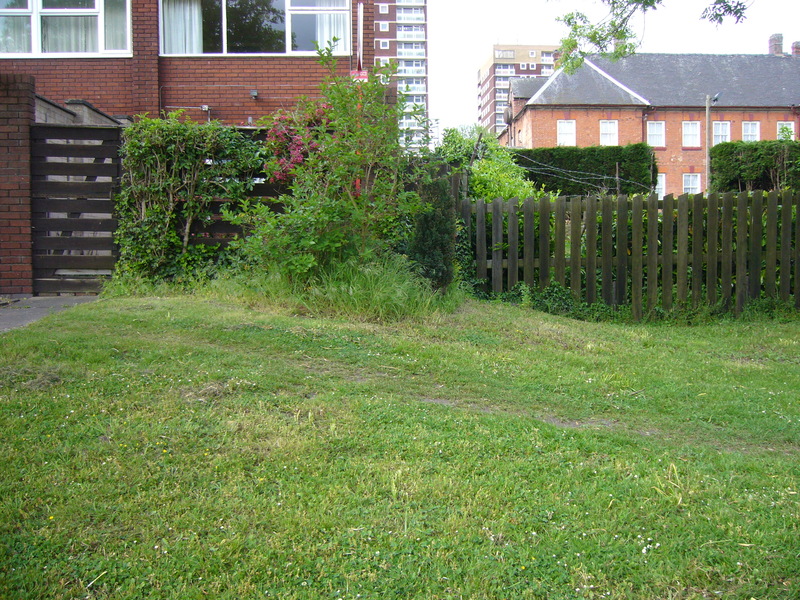 It´s a non productive space, there´s no museums, woodland trust initiatives, it´s truly a wild place. Maybe even an affront, insult or even frightening unproductive space to some people, but to others could be the ideal place to act out different non-conventional part of their lives from new age beliefs to tree hugging! prominent point, ancient woods, thought of as source of energy = pagan practitioners attracted and start performing in woods = witches are caught by local police = local media frenzy = gets lodged in local conciousness= mysterious wood becomes more mysterious = attracts, pagan practitioners, kids messing about, stories, ravers, writers = some people as result may avoid scary wood = current day news story, occult objects are found, firm solid ´archaeological type´evidence is found, Staffordshire hoard style. The process has produced the situation today, a highly charged place full of rumours, attracting and likely to attract certain people from far and wide. This is not a bad thing though this means the wood has become a fascinating place full of meaning for an increasing number of people. Stories of the occult are extremely attractive they help sell a lot of books, films and as the Tamworth Herald has found out, newspapers. They also help though enquiring minds, people want to find out more. People want to know more about this mysterious place, they´ll add stories to the place. Also there will be people who want to debunk these mysteries by trying to proving them wrong and providing the evidence for the history of Hopwas, thus getting to know the history of Hopwas better. People like me will try to use the interest in the strange happenings in Hopwas as a launchpad for my discoveries and encourage exploration of the area. Others like the West Midlands Ghost club have their own research agenda and will keep adding mystery to the place. Witches and non-witches alike will keep dancing. This is all good, this means Hopwas woods becomes alive with enquiry, exploration for all sorts of people with different approaches and views. This is not something to be scared of there´s enough for everyone, what we should be scared of is the places being ignored. By being ignored it could be condemned, the Woodhouse was a victim of being ignored and looked what happened to it.By being ignored, by not being talked about, and leaving it in the hands of a few, the council, English Heritage, Tarmac, whoever, a lot has been lost over the years and a singular view of history encouraged; all country houses, castles and churches! ii. Mysterious ephermeral cottage in Hopwas woods. 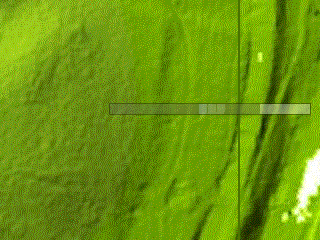 The cottage appears to have some type of enclosed land, haven´t inspected it in person, but on this Lidar image of Hopwas you can clearly make out the cleft out piece of land on the hillside where the cottage probably once stood, is there any more evidence on the ground? what´s the story behind this place? 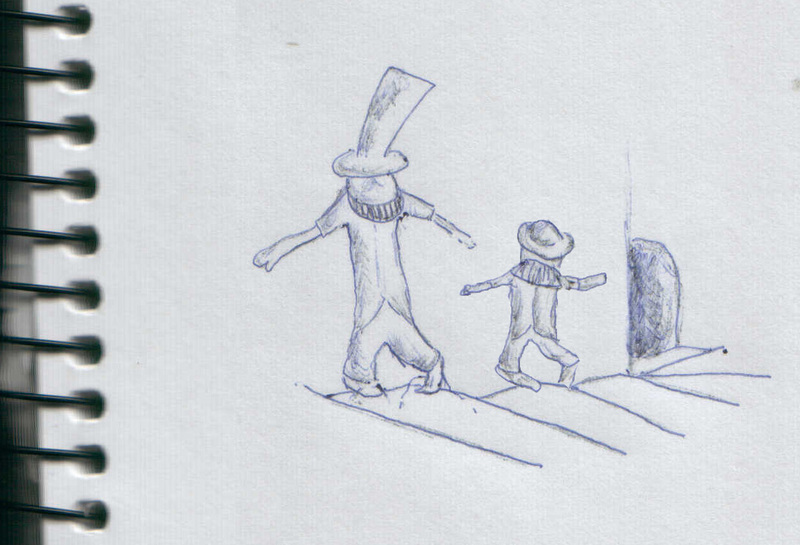 I´m giving Tamworth timehikes it´s very own souvenir section, which gives me a chance to show my artistic dabblings or ideas on tamworth timehike themes, tongue in cheek style or not. Archaeologists use vertical cross sections to understand the stratigraphy and interpret the development of the studied area over time. 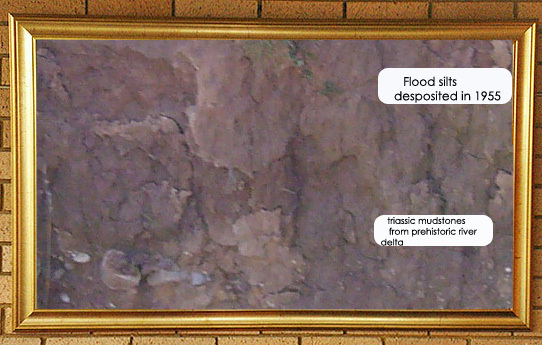 Why not have your own slice of stratigraphy from your own backgarden, frame it and put it on your wall. 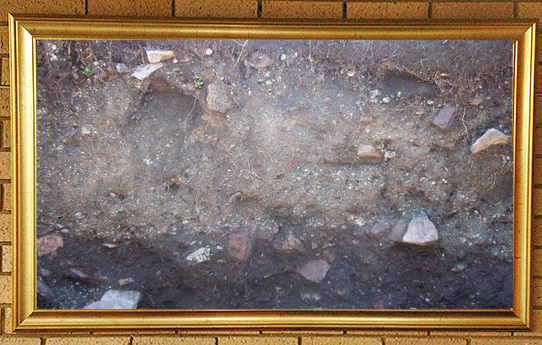 Tell the story of the land beneath you with the help of some dirt on a wall. Archaeologists with time on their hands could fill in the details, do a bit of research yourself or simply make it up. Usually the procedure is to use a mixture of all of these. 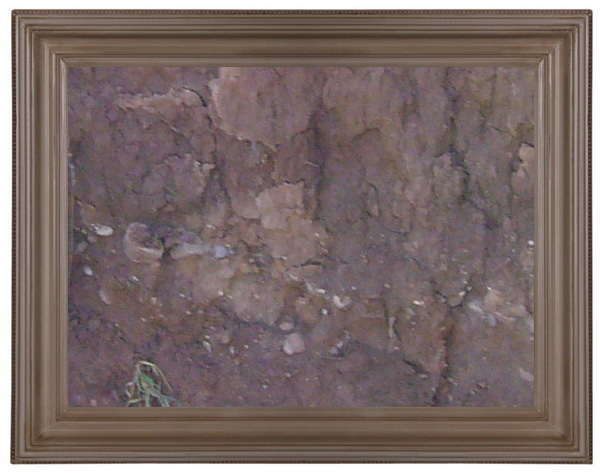 The above section is taken from a rubbish photo I took of an earth bank bordering a stream next to the river Anker. I´ve labelled it with possible stories of events related with the section mostly made up, getting older the further down on the section, all wrapped up in a fetching gold frame, you get the gist. 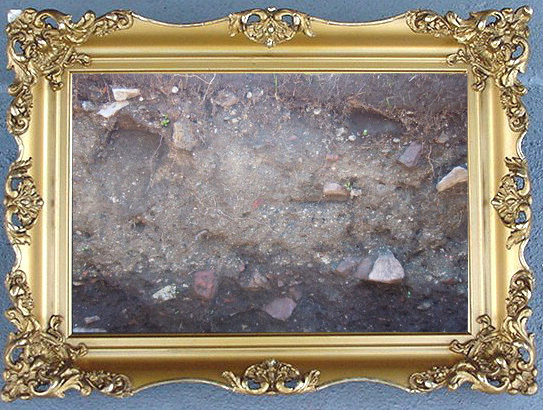 The frame is optional, here I´ve gone for a rococo style frame. You can just sense his disappointment! The extract is about the discovery of evidence for that ancient elusive subterranean passage linking the castle and church(see earlier post). That builder made sure he maintained and added to the mystery until now! Mr Ferrers in Town and Castle goes on to state that it´s believed that this passageway communicated with the church through the east end of the crypt. The 14th century crypt beneath the church of St Editha´s still exists but first to Ferrers account of the crypt from where the suitably gloomy sketch of the crypt is taken from. This is the same place that until recently would have rang with the sound of ´would you like more milk with that dear´ Ferrers darkly vivid account was aided by the fact as the sketch demonstrates it was receptacle of the all the bones disinterred by digging new graves in the churchyard, a sort of charnel house. By the account it sounds like the crypt was piled high with bones, and his account of removing the stacked bones to look for the mysterious subterranean passageway gives you an idea of the scale of the state of the place. In an earlier post about tales from Hopwas. It´s mentioned in Dyotts diary that the murder victim found in the early 19th century in Hopwas quarry was laid to rest in this same place, what a place! 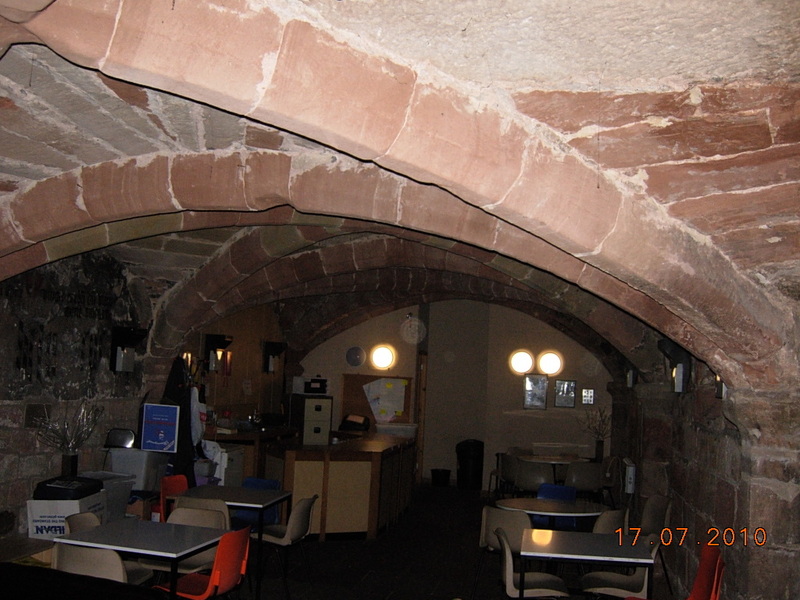 As you can see from the photo taken over this summer the crypt has recently been used as a cafeteria with no bones in sight! Last year I entered the cafeteria with my girlfriend and were treated with curiosity and kindness by the staff . I remember thinking this is an amazing place for a cafeteria. My mind started whirling with the possibilities, dub nights, music lovers bar, projections on the 14th century walls, and then I came back to earth and remembered we´re in Tamworth and it´s below a working church but just if…. When the above photo was taken it had closed, and might stay as a relic of late 20th century market town cafeteria life. It closed for…wait for it…health and safety reasons to do with the steps leading down. They are perhaps the easiest steps to walk down I´ve ever seen, and without encasing the place with rubber can´t see how you could make it safer. Anyway there was no problem with us going down to have a look and the crypt is definitley worth a look! It´s a very well-preserved 14th century rib vaulted crypt built from rag stone, so typical of the few medieval structures in the area. It´s a candidate with it´s age, past use, and gothic beauty as the best underground space in the Tamworth timehikes area, although true it´s the only one I´ve seen and contenders are welcome. 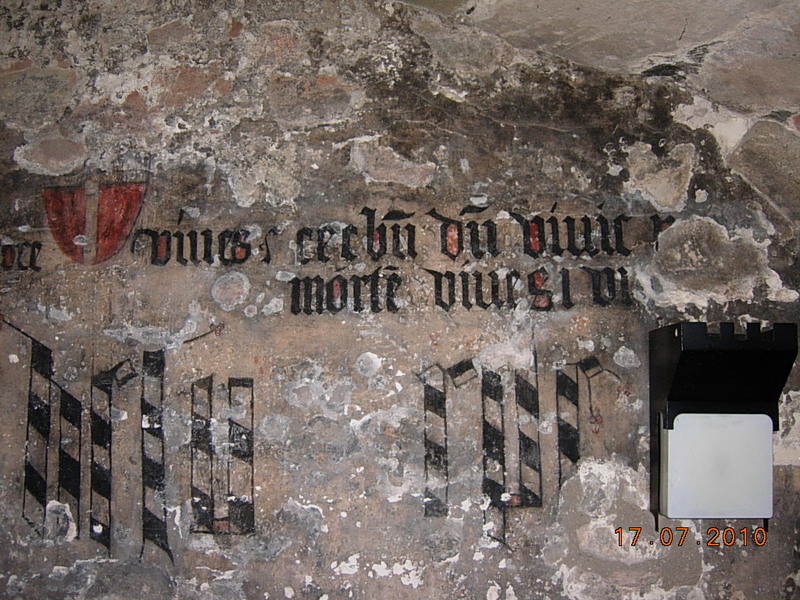 What gives it the edge though is a large well conserved 14th century painted inscription on one of the walls. As you can see from the photo below a 20th century exclamation mark has been added in the form of I think a serviette holder! My latin is well non-existent so I left it´s translation alone until a few days ago where the power of the internet for macro-local discoveries was fully demonstrated. Town and Castle online contains a sketch of the painting with a full translation. Thankyou Charles Ferrers. Here´s the sketch and translation below.